Raigad is located in south western side of Maharashtra State. 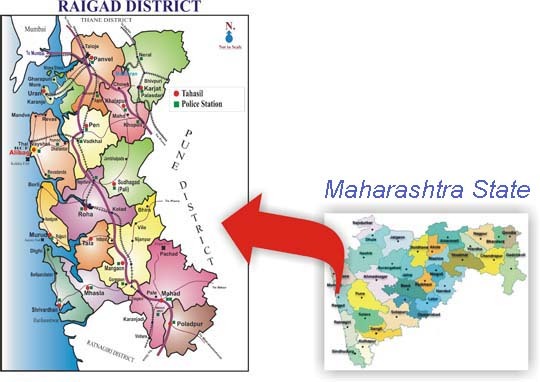 The District Head Quarter of Raigad District is Alibag. Alibag is situated on western coast of India and on shore of Arabian Sea.